Last week I was told to just hang in there, to keep doing what I’m doing and that I would eventually get the attention of companies and people. How long am I supposed to keep doing that? I’ve been blogging for almost 9 years, and that hasn’t helped. I don’t know if I can do that. I’m exhausted with trying. My self-confidence is plummeting and I don’t know how many more times I can face rejection. This comes in so many ways. Everything I’ve tried been a big fat failure. People love what I share, love what information I give them and love how I help. I wish I could say I got something in return, but I rarely do. I need to think everything through and work out what is going to be best for me. The direction that I am leaning towards is working more as an artist, but that means I can’t keep doing all this social media. At least, not in the same way I have been. Do I give it all up? Is it a waste of time. Should I give up photography and try to get a real job? Do I stop posting photos and information everywhere, or just cut down? I need to take time out to sit down and really think about what I want to do, to see what my options are. I will continue doing Monochrome Madness for the time being, though other blog posts will be reposts, or very short ones. The same will be happening with my other social media platforms as well. For the foreseeable future, I need to get some self-confidence back. I’m feeling too fragile right now. Give up? Are you kidding? You’ve compelled over 34 thousand people to follow you. That ain’t something to sneeze at. You’ve made a connection to people. I’ve got a whopping 25 followers. We need people like you to aspire to. I have decided to keep going and see where I go. I’m happy to say that some things have changed and I’m now doing some work with ON1 which I am really enjoying. Hi, Leanne. I’ve just discovered your site and am inspired by your aesthetics and vision.That said, the depth of your despair is palpable. I hope you keep trying different approaches to reach buyers/audiences. Maybe brainstorming ways to describe your work in the “gushing art speak” (a.k.a. gallery owner/director lingo) might help. Scream, break pencils, and kick a box or two or four to vent, but please don’t give up. I will never give up creating work, but I am thinking of giving what I do and my process, meaning, sharing it with everyone. Sharing my knowledge of photography and helping so many people. I have done that with the hope that people would consider me as a mentor, want to pay me for something, but it hasn’t worked out so far, and after 10 years of trying, I realise it isn’t going to. Time for me to be selfish I think. So I’m not sure what will happen with this blog, if it will continue or not, but changing are going to be made. Thank you Carmen. It was painful reading this post. I have followed your work from afar (Princeton, New Jersey, USA) for some time. I think your work is stunning and distinctive. It bothers me that you are not seeing the success you want. I don’t know that you can Khurt unless you can find some magical way where people will want to pay me for what teach, or something else. So far everything I’ve tried has failed. Seems it is true what they say, everyone wants everything for free and no one seems to care that what I know has cost me thousands. I think it is time to give up trying to make a living from the internet and just get a real job. I’m going to be taking some time out to think about what I want. I appreciate how grinding it can feel, and I’ve not been working as hard at it as you or for quite as long. I needed to stop my “real” job due to health reasons and turned towards what had been a hobby as a direction for generating a small but liveable income. Photography is a tough sell these days it seems. Social media has been both it’s boon and it’s bane. Perhaps taking a short break to reinvigorate is a possibility for you. Your work is inspiring and it’s great to see someone else who doesn’t focus on people having a go. I struggle with how to balance my values and ideals about what work I want to produce and at what cost. I have always found it difficult to translate anything into a “dollar value”. Hang in there, you’ve got something special. It is a very tough one and I think made worse by being a woman who has chosen not to do portraits or weddings. I am in effect, invisible to the photography industry. I can’t help thinking if I were a man with over 25 years photography experience, a fine arts degree and a following they would be all over me wanting to work with me. However, I am invisible, so they don’t see me. I don’t know what the answer is Craig, I’m actually thinking of getting a job, seriously considering it. If I get a job for 2 or 3 days a week, then I can stop killing myself with all the social media I do and just spend my own time working on my photos. Hello, Leanne! You never listened to my advice. But I will continue to offer them until you block me. First and foremost, Your work is breathtaking, but you have a marketing problem. You do not do an excellent job of marketing yourself. If I were you, I would find a good college student who is a marketing major, but who may also interested in photography. You could help the person with their photography, and he or she helps you with your marketing. I also think you should install a donate button on your site. Another thing you need to do is make your website more interactive. Use Facebook and Instagram to drive people to your website. Offer something for free, then upsell. Post tutorial style photos. In other words, give us some before and after pictures. And most importantly, for god’s sake be excited about your work. Sometimes one has to toot his or her horn to get attention. The problem is Noel, I’ve tried doing all that. they don’t want to help, I’ve tried getting a couple of people. The problem is everyone wants it for free, I’ve done all the things you have said in the past, I’ve done it a lot, and nothing. People do not see me as someone they should pay for anything. I see it time and time again, I do tutorials on FB, I’ve done them here, they take a hell of a lot of time to do and if they aren’t leading anywhere what is the point. I love my work, but what I find really bad is the way people see the internet. Have you ever paid for advice on the internet. When I had the donation button available, did you ever think to donate a couple of dollars. You wouldn’t be alone, only about a handful thought it was worth it. I did not notice a donate button on your website, Leanne. Put it back up and I will be the first to donate. But this time ask people to donate to become a patron. Patrons get inside secrets etc. That way you will get an idea of the true Leanne Cole fans. Don’t ever give up. The issue is it takes time and effort to set up all these things, and right now I’m trying to get the Fine Art Way going again, though as predicted, not many people want to do it. There does come a point where moving on is the most logical thing to do. Perhaps I’m not the person that people really want to support. I wish you all the best Leanne!! I hope you find your joy again soon!! I am just an amature who loves to take photos. I see you as someone with a talent and gift, a role model and your work is outstanding, I aspire to produce the same standard in my photography. I wish you well in your choices, whatever you decide, just don’t give up on your photography. When I look back, times of frustration usually led to a change I needed to make. May your paths be lined with gold. I can positively say your work is gorgeous. Keep at it. 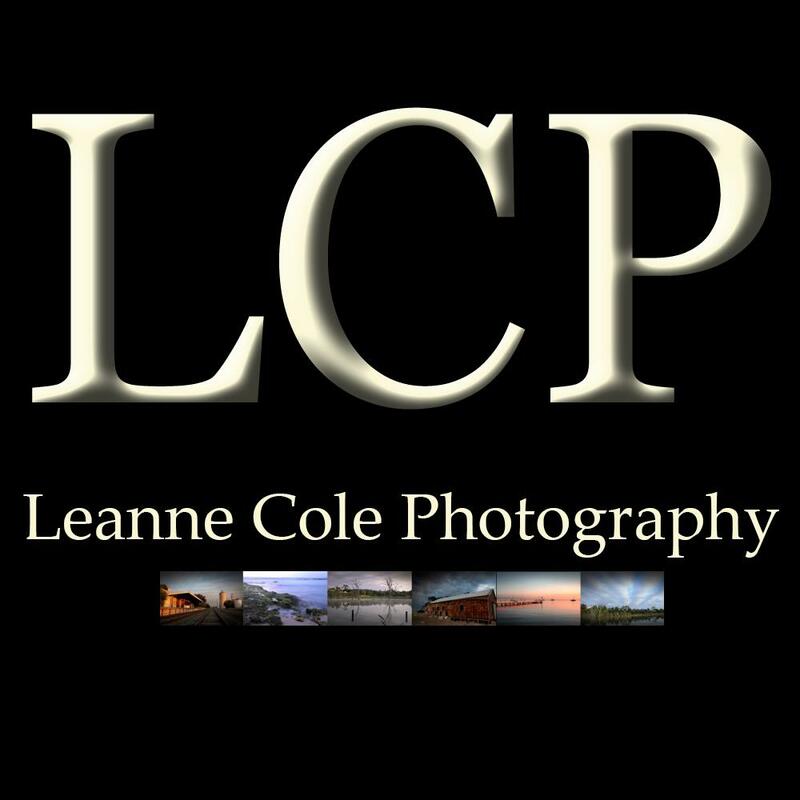 Leanne, I totally hear you, as a professional photographer I feel we are in the same boat. I get tons of compliments on my work, yet very little sales. Frustration and doubts are clouding the horizon. I decided to take a step back from all the media and reboot, what other turn I can take, hoping a little silence with turning inwards will help. Take care and don’t give up. Best of luck to you in choosing the path to go down. I enjoy your posts and I love looking at Monochrome Madness photos, so I hope you will continue doing them, but having said that, if you choose to scale back or stop doing these things, that is your call to make. Leanne I think this is a struggle that all artists go through. People love the work but are not willing to pay for it. I know I feel the same way sometimes. For me I balance my photography with a full time job in Marketing & Community Relations. I must admit I get really excited when I pick up a job or sell my work. But I have learnt that it is difficult to make a good living from it. I try to do my photography for me and whatever else comes from it is a bonus. I am a different person with my camera in my hand, more relaxed and happy. Please know that you are not alone feeling like this, I think must of us do at sometime. Take some time out and see how you feel, in the end you need to do what is right for you but it would be a pity for you to give up your photography because you are so talented! I know your struggles and always feel an ache when you share more widely as in this post. You deserve to achieve your goal of making a living out of your art. You are inspirational in your photography and in your unrelenting quest, but I realise it does not bring the money and the constant knock backs are soul destroying. You ask whether you should get a regular job and maybe you should, but that too is not easy especially as you get older. I certainly don’t think getting a job means giving up photography. But cutting down on some of your activities and focusing solely on what gives you pleasure is probably a good move. Anything that is a struggle and does not get you what you want, give it up: product reviews, articles that pay a pittance… why bother? I am thinking of you my friend and thank you for being my mentor. My photograph has developed because of your help and advice. I’m having some very similar feelings. It’s the proverbial tough nit to crack. Good luck with your choices. We all know from art history that talent alone is never enough. Right now, I have opted to cut back pn social media. Hi Leanne, as a believer in what you want to accomplish, and a big fan of your photography, it saddens me that you’re at this crossroads. I know from running a business for 25 years that there is always reason to get discouraged. I could never understand why people with less writing talent than me were getting better paying clients. I did a lot of soul searching and it came down to personality. I’m just not bubbly and outgoing. I wasn’t about to change my personality, so I accepted it and enjoyed the rest of my ride. That was my situation. I think you should take time to figure things out and maybe try some new things. Just remember that success comes in many ways. Look at how many people you’ve reached with this blog. And, we never would have had the opportunity to meet in person if it weren’t for your blogging. When you think about it, I’m sure you’ve received other things from the work you’ve been doing. Just know that many of us in cyberland care about you. I can totally understand feeling this way. I’ve started to ask myself why am I doing this? What am I accomplishing? And I’ve started to second guess many of my images. Not sure what path I will take next but I know I need to do something different and one of those things is to spend more time on photographing (learning, growing, practicing, etc.) and less on online endeavors… unless it’s an online course. Unplugging can be good. Leanne, Please know there are many of us that wish you peace in your mind, your heart and soul. You are an amazing “Artist” and have been a huge inspiration to me since the first day I saw your work. I can feel you pain Leanne. The only advice I can give you is that it is probably time to take a day job. That’s what I did, which allowed me to buy better equipment and lenses. In turn that let me take the images I wanted to take and develop my own style of shooting. I’m doing head shots and corporate photography now. It is slow going but with the day job I at least don’t have to be desperate and if I get enough business to sustain me then I will give up my day job. Identify who your customer is and what they want or need. The only way a business or any organization can survive is they need to meet a human need. What is that need that you can fulfill? By the way, you’re only a failure if you give up. I would kill for the number of followers you have. I’ve been blogging for 8 years and only have 690 followers. So failure is a matter of perception. I wish you the very best wish there was more I could do. Leanne, I’m nowhere near as far along as you are. I have been looking at the business aspects of fine art photography and digital imagining for a while. Here are a few things that I have noticed from the various people I follow that seem to have the largest reach. 1) Collaboration and cross promotions. They tend to collaborate with other photographers in similar circles, lots of cross promotion on Twitter, Facebook, Instagram and YouTube. I think this helps bring in more followers quickly. See Peter McKinnon or Trey Ratcliff for examples on these things. The 5 day deal is another thing that helps spread your name quickly. 2) I notice a lot of them are doing training videos on photography. Some are free, others are pay to view. In addition to this they have Lightroom Presets. All of this creates an ongoing monthly income. I have actually questioned if some of them are in the photography business or training business. But these two things seem to be symbiotic in nature. See how Serge Ramelli is running PhotoSerge.Com as a good example. 3) They have outsourced parts of the work they don’t want to do. All of the people above have a team of people. Trey and Serge have someone full time to run the business aspects so they can do the rest. 4) Sponsorships are a huge thing and help keep their name out there. It seems that after a following is built, I see sponsored ads everywhere. I’m not sure how any of these things work. I’ve been focusing on my journey and improving my photography. But I’ve been eyeing these things as a future path while learning more. I hope this is somewhat helpful on you finding your path. Awww Leanne. I empathize with you. You work so hard and it’s exasperating. I wish we lived closer to one another. I’m thinking of you as you weigh your options. You’ll be guided as to what to do next. I believe it. I feel your frustration across oceans. Dear Leanne – Your post brought such an ache from the depths of your candor. Some of your photography over the years has been magnificent. Keep on believing in yourself and in your art. I have little time today for a long comment, but a couple of things. It is NOT a sign of failure if you need to take a “day job” to help support your art. The list of famous artists and musicians and poets and writers who have had day jobs includes Henri Rousseau and Alexander Calder and Kurt Vonnegut and William Carlos Williams and so many many others. As long as a day job is not soul-sucking, it can provide breathing room for creativity. Also, have you found that book by Alain Briot that I had suggested? I can send it to you. I think my email addy is on my blog and you can let me know a shipping address. your photos are gorgeous and unique. Maybe as you say getting away from the social media and all the time it takes up may be a good thing. You are an artist with what you do so a break may well get back the passion you started with. Don’t lose heart (I know its easy for all of us to say that), maybe a refresh and a refreshed approach might just do the trick. I’m not a photographer so many of your technical posts go right over my head. But…what you’re doing is teaching. You may not call it that, but that’s precisely what good communicators do. Monetising a blog is hard, so is selling a ‘product’ [such as a book], but blog and book can go together…if that’s what you want to do. I don’t usually make comments on websites, but I can only imagine your frustration and admire your courage in sharing your post. As a newcomer to the business of photography it seems that a blog/education post is only a part of a larger marketing strategy. I’m not sure of your background in business but in simple terms in boils down to product, pricing, promotion and place (distribution channels). Some successful photographers who I have followed seem to make more out of photography tours, PS tutorials, ebooks, exhibitions and online sales than their blogs. They seem have specific products priced for different market segments and target them through different distribution channels using a variety of promotional / advertising methods. I think you are wise to reconsider your strategy because continuing with the same approach and expecting a different result is not a viable approach. I enjoy your images and hope you come up with an appropriate option that achieves your artistic and business objectives. I was thinking earlier this week how much effort you put into your social media posts. I enjoy all of them but this is the first time I have posted – laziness on my part. Social media is a demon that will devour all your time and attention, frustratingly it is also a great communication tool. May I suggest you take the pressure off a bit by either reducing the frequency of your posts, and/or, restrict your communication streams to those things that give you most enjoyment. In this vein you might consolidate your various streams into a revamped omnibus site where you might focus on just one aspect of photography, such as technique, that would consolidate the things you do across your sites. In short consolidate and refine. Hopefully this will reduce the workload. I am confident you will get strong support for many of your current activities with suggestions you leave things as they are. Easy said if you are not doing all the work. And you do a terrific job across all your sites. Obviously, I can’t tell you what you should do as that is — as you say — yours to figure out. I can tell you the stuff you can read in books . . . do what you want and when you can’t, do what you have to. I well understand the frustration of being close but not quite there and there is a certain freedom to stop trying and just enjoy . . . freedom with a bit of bitterness sometimes, but with a lot less stress. If you’re not enjoying what you’re doing, I suggest a hiatus. Step away from it — all of it — for a bit and see how it feels. Perhaps you’ll naturally gravitate to something else while on hiatus; perhaps you don’t come back the same if at all. You mention you want to be an artist but that you also are trying to earn some money. I don’t know the business model over there, but it’s always seemed to me the best way to actually earn a living is to run classes. For that, you only need a small Internet footprint. Photo workshops combining instruction with on-location shooting seem to be fairly big here so they might be there as well. You already have a fairly established web-site to showcase your work. If it were me, I’d also try to form partnerships with established touring groups to minimize investment and I’d also try to partner with another photographer to share the load and prep. Of course, it may not be what you’re interested in. I’m only shooting ideas off to jump-start looking forward as opposed to looking back. My heart ached as I read your words, Leanne. Your pain and frustration was so raw. All I can possibly do is to reassure you that your words and actions have affected the lives of countless people like me. I remember how excited I was when you featured my photos in one of your postings at a time when I was feeling really insecure about what I was doing. Your support and encouragement really made a difference in giving me the self-confidence to keep pushing on. I have no crystal ball, no magic wand–I can’t know which way you should go at this crossroad you face. Ultimately you have to do what is best for you. The rest of us, I believe, stand by ready to support you, no matter in what direction you choose to go. It won’t help to pay the bills, but I really want to thank you for all that you have done to support me directly and indirectly. You sound as if you are feeling ‘burn-out’. I am so sad to hear that Leanne. If you are not loving the social media stuff it is right to stop. I love doing my blog as a way of recording what I do creatively as a kind of diary for myself and a way of reminding myslef how I did things in case I wanted to do them again. I am also constantly inspired by other crafters and creatives I ‘meet’ through my blog, Facebook Groups and Instagram. But I don’t run a business from which I need to earn a living – very different. Unless it feeds you in some way it is right to stop. Please accept a virtual hug and take yourself on a ‘play date’. Just a thought, if you did not need to earn money and could do anything you wanted to do tomorrow morning, what would it be? Come now, Leanne. Your work is very good. I have not been that regular on social media because, I too, have been figuring out my own change in direction. I want to go more arty / conceptual. I want to write and teach. With my grey hair, commercial work is hard to find. So yeah, self-confidence can take a beating. Hang in there. You will find your inner voice and direction! I feel for you, Leanne. Your work is beautiful. I hope that, whatever road you choose, it brings you satisfaction and also revenue. Take care.